This project is the highway construction located in Aksu, Ethiopia, producing the sand and stone aggregates for road construction. This production line adopts two-section crushing and screening system with high efficiency output and simple operation process. The system technology and all equipment, structure components, belt conveyor, as well as control system are all designed, manufactured, installed and commissioning by our company. 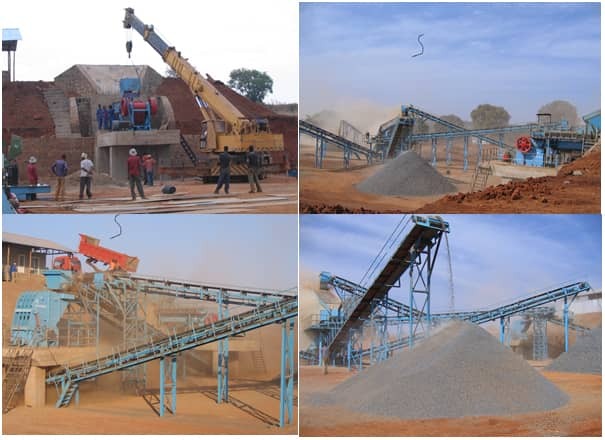 The main equipments are DHKS4230 jaw crusher, PFQ1310 impact crusher, 3YKR2160 vibrating screen, belt conveyor, and ZSW420X110 grizzly bar vibrating feeder. The processed material is basalt, and the production capacity is 150 t/h with the finished granularity below 31.5mm.